This page includes our social media guidelines (they fit on a napkin) with 9 points. Additionally, we list resources, tools and a policy generator as well as examples of social media guidelines from over 50 companies and government agencies. 2011-04-14 – Update – State Government Victoria – Australia – Department of Justice social media policy – a bit too detailed for most workers – interesting video! 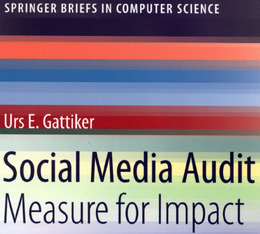 2010-09-10 – Update – added a paragraph about commenting, blogs and Facebook under point 1. For updates, see the bottom of this post. Wäre es peinlich oder unangenehm für mich, wenn meine Arbeitskollegen von ‘dieser Sache’ erführen (z.B. Tweet, Blog Kommentar)? Könnte diese Sache als unfairer Vorteil aufgefasst werden, den ich nur dank meiner Position erhalte? Könnte es dem Unternehmen schaden, wenn z.B. die Medien oder Konkurrenten davon Wind bekämen? Könnte Kunde, Freund oder Feind den Tweet, die Email Antwort oder den Kommentar auf Google+ beim Lesen negativ interpretieren da er sich nicht ernst genomment fühlt? Would I consider it embarassing and unpleasant for me, if my colleagues would hear about this’ (e.g., tweet, blog comment)? Could it be seen as me having unfairly benefitted from this activity solely due to my organizational position? Could my company’s reputation suffer if, for instance, the media or competitors get hold of this? Could the client, friend or foe get upset by receiving my tweet, e-mail or comment on Google+ because she might, for instance, feel talked down to or brushed off? Our social media policy was launched a while back and for us it was a big event. If you participate in social media such as creating or contributing to blogs, wikis, social networks, virtual worlds, or any other kind of social media both on and off ComMetrics.com — these guidelines are for you. These guidelines apply when using CASEScontact.org, CyTRAP Labs, ComMetrics webpages and web-based Software-as-a-Service (SaaS) or On-Demand hosted delivery of My.ComMetrics.com services. All people working as employees or contractors of ComMetrics or CyTRAP Labs GmbH are to understand and follow these guidelines. Failure to do so could put your future participation at risk. This guidance or code of conduct will continually evolve as new technologies and social networking tools emerge. Also remember to follow all applicable CyTRAP Labs GmbH policies. For example, do not share confidential or proprietary information about the company and maintain client privacy. Among the policies most pertinent to this discussion are those concerning copyright, disclosure, privacy and terms and conditions. This means always be nice, truthful and respect the other individual. Never embarrass or make fun of others online and please do not use foul language or humor that might be misunderstood by people from other cultures. Hence, when leaving a comment, writing a reply or commenting on somebody’s Facebook wall, please stay on topic. Be conversational, and serve to entertain or educate with your contributions. Besides avoiding foul language, remember that a party image posted online from your friend’s mobile phone might haunt you in the future, whether you are applying for a job or getting married. Also ensure that the source you link to (e.g., a research report) can withstand regulatory scrutiny (e.g., possible conflicts of interest are disclosed – see FTC regulations) and will not damage your reputation (e.g., badly disguised sales pitch, low-quality white paper). This can do damage in any number of ways, including violating company-client privilege, opening your organization to sanctions, voiding patent rights, revealing trade secrets, or violating copyright. Email, instant messaging, Twitter, Facebook, voicemails, as well as the entire contents of your private PC, smartphone or iPad if used for any work-related reason are fully discoverable and the first place lawyers look when building a case. Lastly, it is just as easy to ‘spill the beans’ in a social setting as it is online. Be careful and you will be fine. Friends and clients will not only find your corporate blog posts, but your private Facebook page and personal Twitter account, and draw their own conclusions. Be cautious before putting anything ‘out there’. In short, do not write anything online which you, your grand-mother, friends or loved ones would not be happy to see prominently attached to your online record. There are no right or wrong actions when it comes to social media. However, things are in constant flux and choices have consequences. To illustrate, you may tick the box indicating you are interested in ‘career opportunities’ on your LinkedIn or Xing profile. Nevertheless, please keep in mind how this looks to our clients and suppliers. Interact and connect with clients. If you cannot help someone directly regarding any of your services, products and so forth, send them to the appropriate department, person or social media channel. Follow up personally or make sure a colleague does so within 24 hours. Please read the client’s e-mail, instant message or tweet carefully. Then collect the information you require to answer fully. Often, calling saves time and gives client the answer and details she needs right away (i.e. avoid back and forth e-mailing, messaging, or tweeting). In today’s virtual world time is of the essence and your public holiday or weekend may be a client’s normal workday! How much data you reveal – such as email or phone number – should be set in your security options or privacy settings (e.g., what information is visible to anyone). Before you post any images or videos online (e.g., holiday snapshots on Facebook), get explicit permission from anyone included, so as not to violate any personal rights and/or privacy regulation(s). Be careful which links you visit and make sure any materials you download are scanned by your computer’s security software. Visiting your personal Facebook page takes time away from getting tasks done for which you get paid; accordingly, use your time wisely while at work and make your social media engagement beneficial to the company. Please do not let such usage interfere with maintaining your high performance. As a boss, team leader or manager, you should lead by example. If you are an infrequent and/or sloppy social media user, your bad habits may spread to your colleagues and/or subordinates. 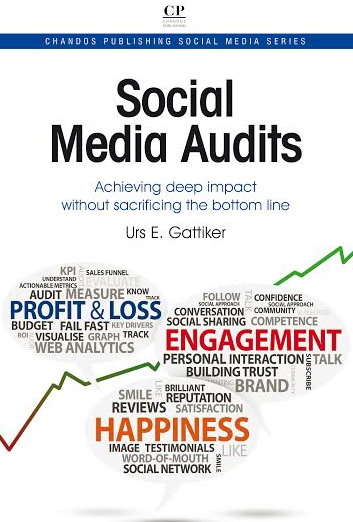 To reduce the risk to yourself, your team and the company, set a good example and review social media use with your team – the good, the bad and the ugly – to learn from mistakes and successes. As LinkedIn or Xing are business networking services (could apply to Facebook & Google + as well) your contacts are bound to include clients or referrers of your firm. We expect that you will take your contacts on LinkedIn with you when you move on to another employer. If you use social media accounts in your capacity as one of our employees (e.g., on the company’s Facebook page, LinkedIn group or Twitter account) it is understood that before you leave the office and hand in your ‘keys’, you provide us with username, password, etc. of all these accounts. Most importantly, you will refrain from logging into these accounts again as administrator or in any capacity you might have had as one of our employees. This policy is in addition to other existing policies (thanks to James Wong for making this point). We wish you all the best success with engaging in social and private networks. May it advance your career and in turn assist us in our efforts to provide clients with more value. In this case as in all, we feel that the best way to deal with effective use of social media in the workplace is by persuasion and example, NOT by removing liberty. 2010-02-03– Update – Coca-Cola media policy – download 3-page pdf file – applies to ‘certified spokespeople’, but what about employees and their private Facebook account? 2010-07-01 – Update – Ohio State University Medical Center – SM Participation Policy (implemented 2009-12-18) outlines how it works for medical personnel, including HIPPA issues and so forth. 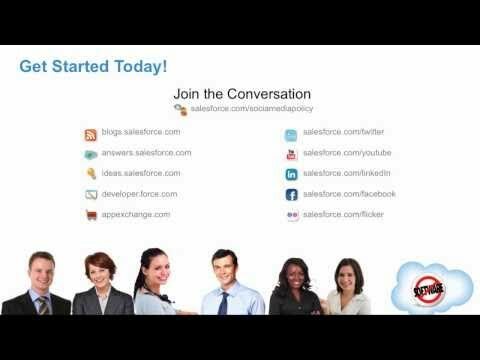 2010-09-17 – Update – If you want to see how Salesforce deals with worker’s social media use : the company share some ideas on slideshare. The video that was produced to explain their position can be viewed right here. Interesting way on how they handle social media risks. 1st see the policy itself – 3 pages – but extensive policy indeed. After you have read the above policy, watch the training video below. It was released in July 2010 and is primarily for internal use. 2011-02-07 – Update – A controversial two-page social media policy the Commonwealth Bank of Australia introduced to its employees back in December has turned into a public relations disaster. The policy itself is quite broad and could be open to misinterpretation – 2010-12-01-Commonwealth-Bank-of-Australia-CBA-Social-Media-Policy (571KB -pdf file). 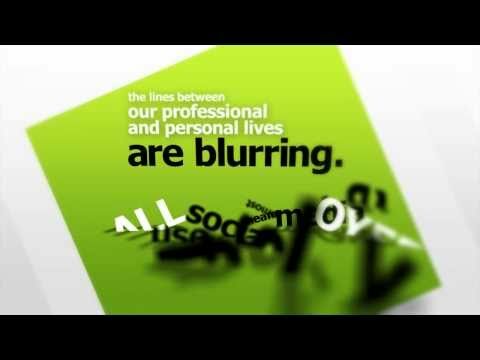 2011-04-14 – Update – State Government Victoria – Australia – Department of Justice social media policy – a bit too detailed for most workers – interesting video (revised March 2011). Does this work? When employees violate these guidelines and admit this in public things get discussed. It warrants a blog post, many customers and employees commenting as well – simply impressive – practice what you preach at its best – best practice in the making. What is interesting is that Barclays’ Twitter account provides you at the top a Bit.ly link that gets you right into the social media guidelines …. saves time and is helpful – see statistics by clicking on here http://bit.ly/oq1jRg+ (always just add the plus sign – to get Bit.ly numbers – these are often lower than the actual numbers as our tests have shown … sorry that is life). 2011-12-20 was the date the UK’s Law Society became the first regulatory body to issue guidance to UK lawyers using social media services such as Facebook, LinkedIn, Twitter and Xing. Jon Bloor wrote an interesting post about these guidelines: Can solicitors be social? A sceptical look at the LawSoc guidance on social media. The SEC states that while many firms they reviewed had “policies and procedures within their compliance programs that specifically apply to the use of social media,” there was significant “variation in the form and substance of the policies and procedures.” The SEC also felt that some provisions included in guidelines used by companies were vaue, off-point or simply confusing. US federal regulators have released proposed guidance for financial institutions to follow when using social media to market products. The 31-page proposal by the Federal Financial Institutions Examination Council stipulates, for example, that financial institutions engaged in residential mortgage lending will display the Equal Housing Opportunity logo on their Facebook page. “Financial institutions should establish appropriate policies to address employee participation in social media that implicates the financial institution” the regulators recommended. The guidance contrasts with recent rulings made by the US National Labor Relations Board, the feder agency in charge of investigating unfair labor practices. The board has said previously that employees have the right to talk about their workplace on social media channels, even if they may sometimes make disparaging comments. The FFIEC — an interagency body that charged with drawing up uniform principles and standards for the federal examination of financial institutions by regulators including the Federal Reserve, Consumer Financial Protection Bureau, and National Credit Union Administration — will accept comments on the proposed guidance for 60 days. Have we missed another important example – good or bad – in the above list? Please let us know to make this an even better resource for the community. Die Fachgruppe Social Media im BVDW schafft mit einer neuen Richtlinie branchenübergreifende Grundlagen für Social Media Monitoring. Indem die Medientypeneinteilung die Erfassung und Kategorisierung von Medieninhalten vereinheitlicht, sollen Qualität und Aussagekraft der analysierten Monitoring-Daten erhöht werden. Zugleich sieht die Richtlinie eine Reduktion der manuellen Aufwände bei der Datenanalyse vor.Für die Entwicklung einer validen Erfolgskontrolle werden in der ersten Stufe ähnliche Medientypen zusammengelegt, bei denen die grössten Überschneidungen festzustellen sind. Dies ermöglicht eine einfache Segmentierung zur Definition der primären Kommunikationskanäle im Social Web. Die zweite Stufe charakterisiert sich durch eine noch detailliertere Unterscheidung der Kanäle für eine noch höhere Aussagekraft der Analysen. Die BVDW-Richtlinie berücksichtigt sowohl jegliche Arten von Social Media (z.B. Social Networks, Microblogging Plattformen, Weblogs, Foren, Bild- und Videoportale sowie Bewertungsplattformen) als auch als auch Webseiten mit integrierten Social-Media-Funktionen zum Teilen oder Bewerten (z.B. Presseportale, Nachrichtenplattformen, Unternehmenswebseiten). Be direct, informative and brief. Follow your state bar’s ethics rules regarding social networking. Social media posts can be subject to advertising rules. Posts deemed to be advertisements require additional disclosures such as the typicality of results. Never use a firm client’s name in a social post unless you have written permission to do so. Credit appropriately. Identify all copyrighted or borrowed material with citations and links. When publishing any material online that includes another’s direct or paraphrased quotes, thoughts, ideas, photos or videos, always give credit to the original material or author, where applicable. Fact-check your posts. Always evaluate your contribution’s accuracy and truthfulness. Before posting any online material, ensure that the material is accurate, truthful and without factual error. Spell- and grammar-check everything. Content never disappears entirely once it’s been posted. Correct errors promptly. If you find that your blog entry or social post contains an error or mistake, correct it. Since transparency is key, admit your mistake, apologize if necessary, correct it and move on. Blogs are part of social media. While a blog itself is not subject to the limitation on commercial speech, the content of a blog can be. The content must be informative only and nothing in the content should propose a commercial transaction or be for the purpose of directly gaining a commercial transaction. The threshold question to ask is, “Does the content articulate commercial speech in any way?” If so, it’s likely that it will be subject to state rules. Start a conversation. Email us at info [at] CyTRAP [dot] eu or call us at +41 (0)44-272-1876.